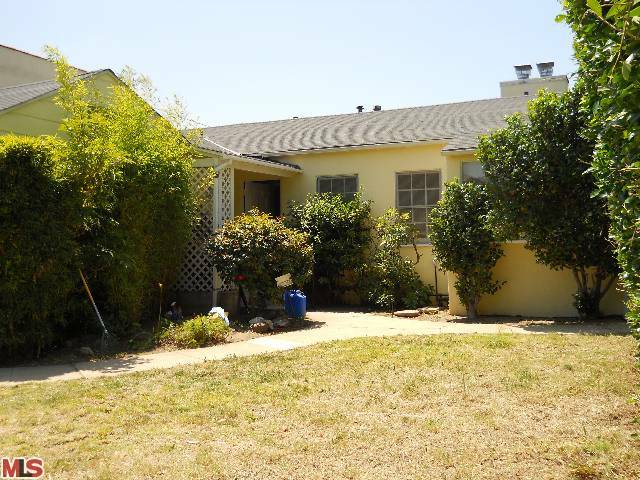 The trust sale on 1923 Benecia Ave LA CA 90025 lasted approximately 22 days on the market. However, when the home was listed, they defined that all offers were to be turned in on June 1st. This property needed major work to not only the house, but potentially to the rear yard where the empty pool looked to be separating apart in the ground. The lots on this side of Benecia back up to the Beverly Glen. And there is a height difference in the lots from Benecia to Beverly Glen, which could make things interesting. So most likely this is not a fixer but a teardown. According to the MLS, the home is a 2 bed/ 2 bath, 1,569 sq ft of living space on a 5,750 sq ft lot. 1923 Benecia Ave closed on 6/21/11, 34% over the asking price at $735,000 or $468 $/sf or $128 $/sf for the lot.